Viknesh Vijayenthiran August 11, 2014 Comment Now! 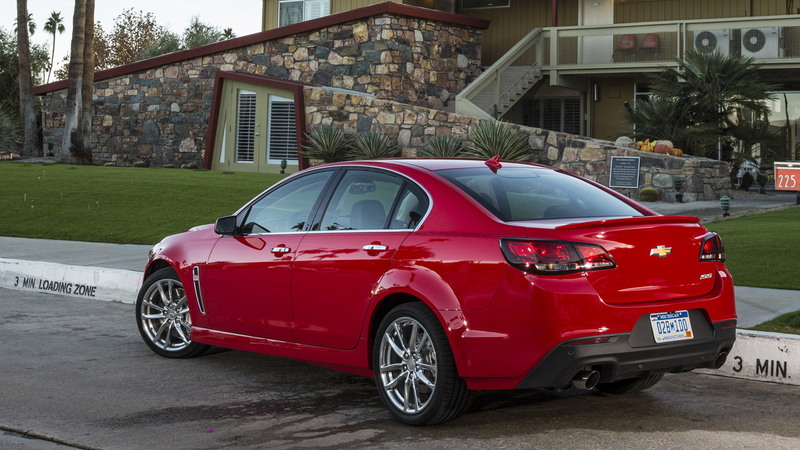 Chevrolet’s SS muscle sedan is heading into the 2015 model year with some worthwhile updates, the majority of them designed to bolster the car’s performance. 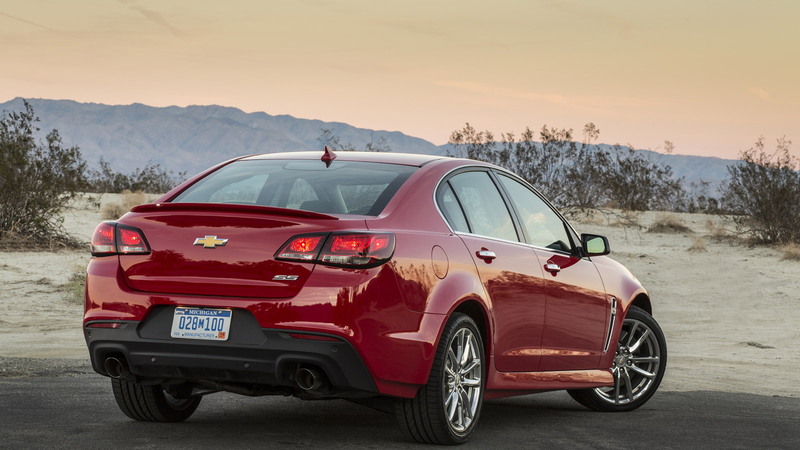 While it’s been little secret that the 2015 Chevy SS will be available with a six-speed manual transmission and magnetic dampers, it’s been revealed that the car will also feature Brembo brakes at the rear. 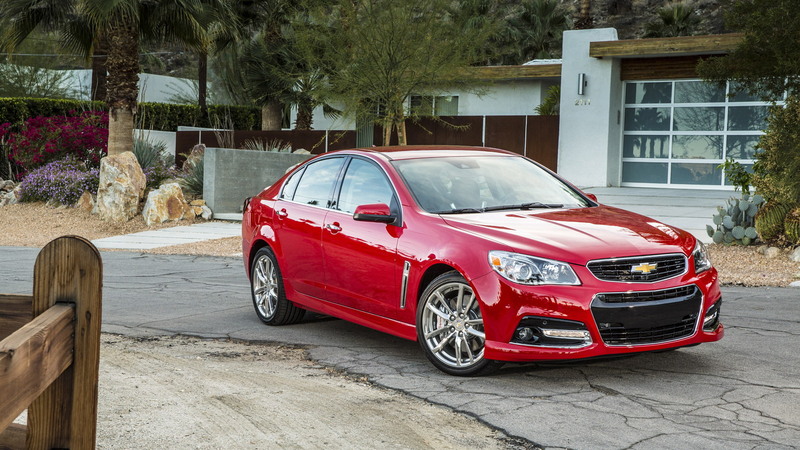 The 2014 SS featured Brembos only at the front. Unfortunately, there’s no additional horsepower on tap, with the rear-wheel-drive sedan's 6.2-liter LS3 V-8 still registering 415 horsepower and 415 pound-feet of torque. Mated to the car’s six-speed, paddle-shifted automatic transmission with 3.27 final-drive ratio, the engine will rocket the SS to 60 mph from rest in just 5.0 seconds. Even quicker acceleration is expected with the manual transmission, which features a more aggressive 3.70 axle ratio. And when the road gets twisty, more precise body motion control is provided by the magnetic dampers. They’re a standard feature and come with driver-selectable Tour, Sport and Performance modes. Stopping power comes from Brembo brakes, now standard at all four corners. Up front there are four-piston calipers biting ventilated steel discs measuring 14 inches across. A 14.2-inch pair is used at the rear. The brakes sit within 19-inch forged aluminum wheels wrapped with Bridgestone rubber (245/40 up front and 275/35 at the rear). Other upgrades for 2015 include OnStar 4G LTE connectivity and a built-in Wi-Fi hotspot, which General Motors Company [NYSE:GM] is rolling out across its fleet. There are also five new exterior colors to choose from: Perfect Blue, Some Like it Hot Red, Alchemy Purple, Jungle Green and Regal Peacock Green. 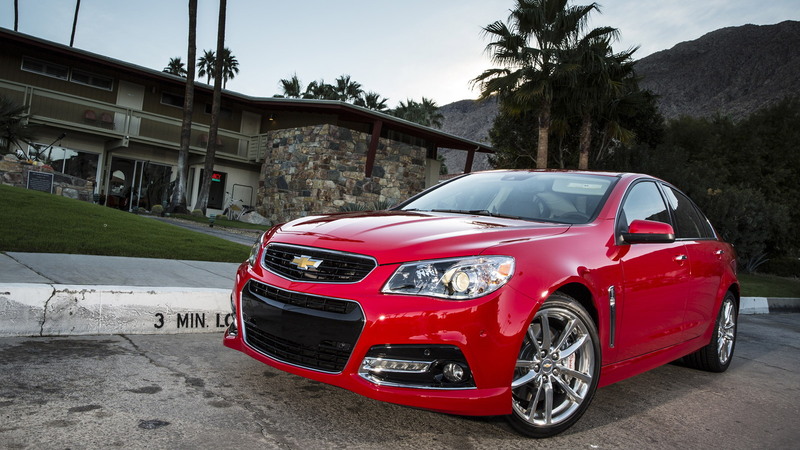 The 2015 SS continues to be one of the most value-packed vehicles on the market. In addition to the features mentioned above, the car also features as standard a touchscreen display with the Chevrolet MyLink interface, satellite navigation, a head-up display, heated and ventilated seats, leather shift knob and steering wheel, a nine-speaker Bose sound system and remote start (for automatic models only). There is also a host of standard safety features including eight airbags, a backup camera, forward collision and lane departure warning, and an automatic parking system. 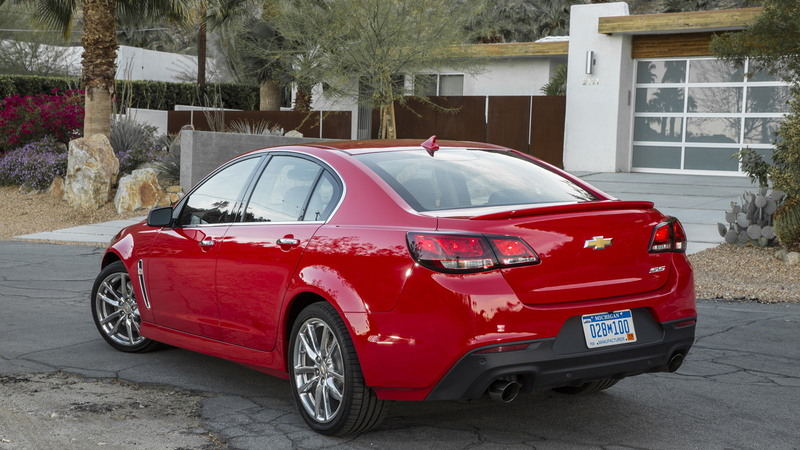 Pricing for the 2015 Chevy SS is yet to be announced but it should stay close to the 2014 model’s $44,470 sticker. The only options are a power sunroof and full-size spare. One interesting factoid revealed by Chevy’s U.S. vice president Brian Sweeney is that BMW is the top non-GM-brand trade-in from SS customers. For our first drive report on the almost-identical 2014 model, click here.